John Miner: Skating Marvel – Look what we found! With the 2014 Winter Olympics having come to a close, the entire world stands amazed at the athleticism and ingenuity of modern sports. One of the most popular of winter sports—speed skating—has a direct tie to a rather unsuspecting Detroiter with an amusing and intriguing history. John Miner was born in Montreal, Canada, in 1831; his family moved to Detroit soon after in 1834. Young John became a carpenter’s apprentice and by the age of fourteen he went to work on Great Lakes cargo ships. At age 20 he combined these two skills and began building his own boats—his first being the sloop Sweeper. Miner would continue to design, build, own, and command more than a dozen vessels throughout his life, including a bark that would bear his name. Miner’s reputation as a true gentleman has been well noted throughout the historic record. A man of fair business dealings in every sense, he was known for his infrequent use of alcohol, tobacco, and other social vices. In the more than 50 years of sailing on the Great Lakes, Miner had never lost a crew member due to an accident. While building and sailing ships was a lucrative occupation for Miner, his true passion in life rested in the winter recreational sport of ice skating. Miner was known to spend as much time as possible on the ice as soon as the winter cold froze area ponds and lakes. He was apparently quite a marvel at speed, acrobatics, and agility. 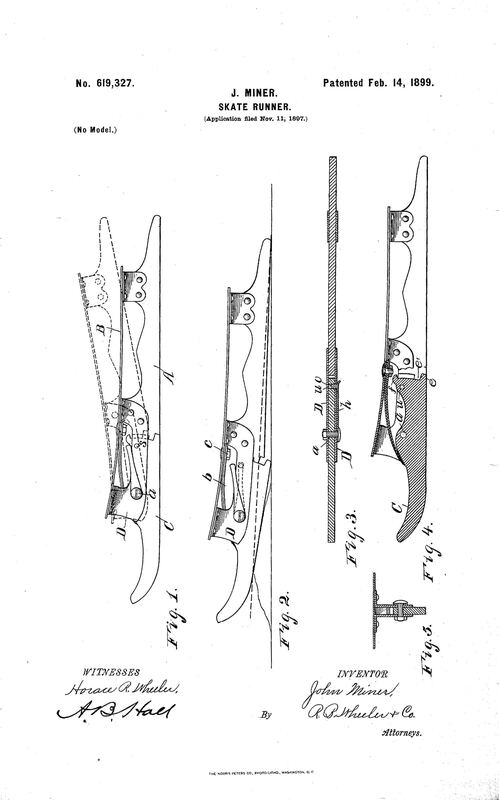 Miner submitted a patent in 1897 for an innovative skate runner designed to greatly increase speed. Having won numerous prizes and medals, his biggest self-accomplishment was a solo performance before England’s Queen Victoria. 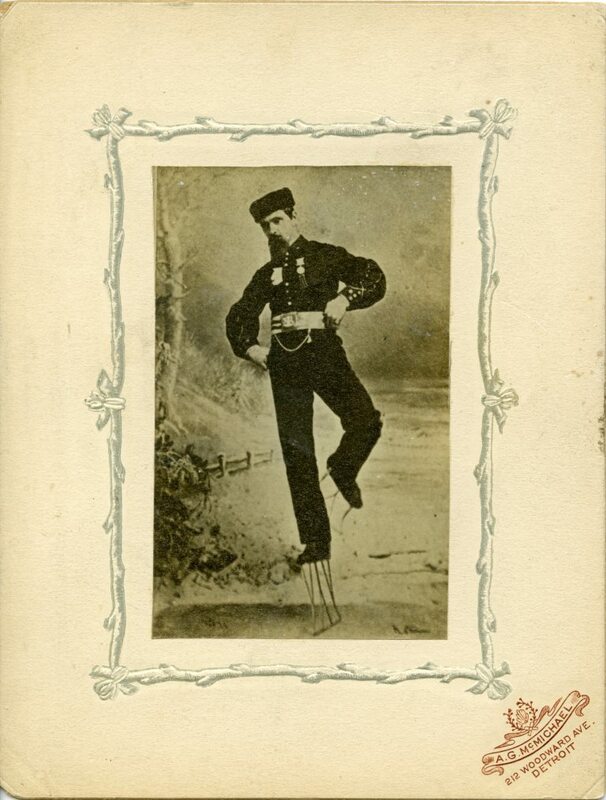 One of Miner’s more fanciful and entertaining feats was the use of his “stilt-skates” which elevated him an astonishing two feet off the ice while performing unbelievable maneuvers. 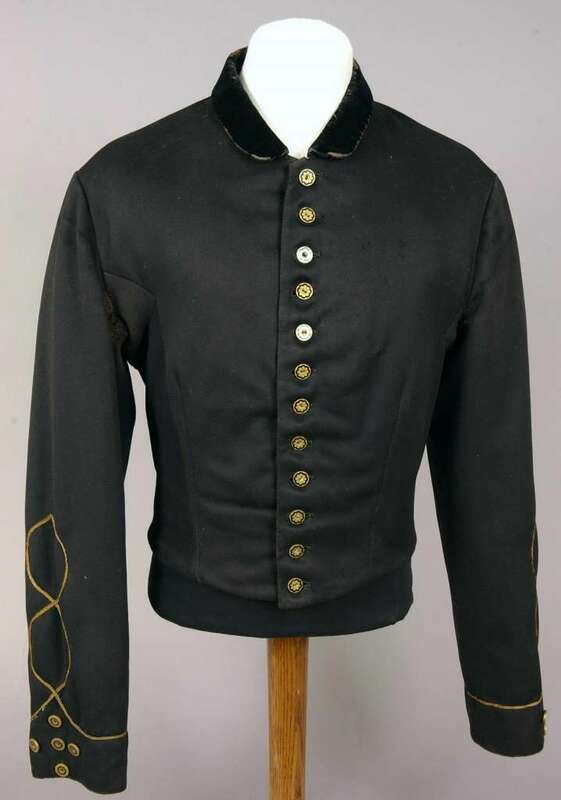 John Miner’s entrepreneurial spirit, hard work ethic, gentlemanly persona, and innovative mindset make him one of the lesser known, yet highly regarded, Detroiters represented in the collections of the Detroit Historical Society. That’s my great great grandpa. I have the very same photo of him on skates sitting on my living room bookshelf. that would be me. i do have the picture of him hanging up. Hello! John Miner was my great grandfather. The image of him on the stilt skates resides in my home as well. I have a pair of his skates on my mantle. Very proud! Michael are you Chuck Miner’s son? I actually mis-spoke. He was my great great grandfather. I am John Lawrence Miners son. His father was John Joseph and his father was Frank who’s father was John who this article is about. Hi Michael. I guess there are a lot more of us Miner descendants than I knew. I’m descended from Capt. John through Frank J. Miner. His daughter Julia Miner (married name Brown) was my grandmother. Are his elevated skates in the Detroit Historical Museum? I don’t have a record for Moses. Could his birth name have been Ismael? 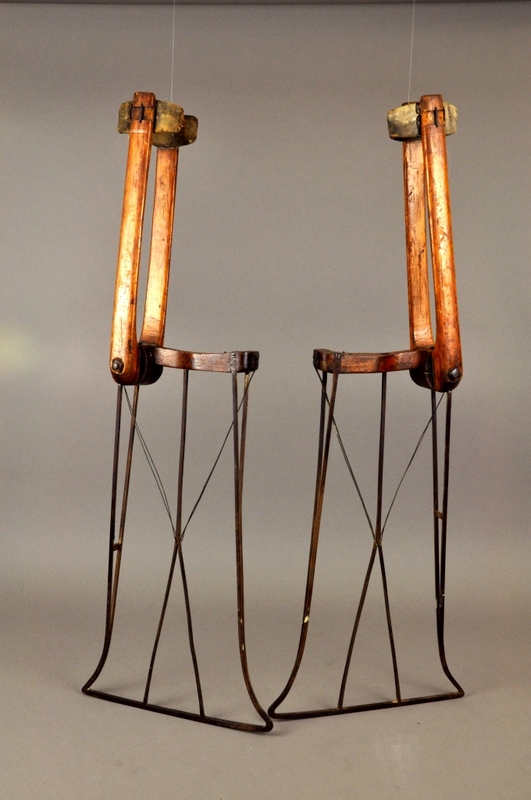 Yes, the stilt skates and other items are in the Detroit Historical museum. They are periodically on display. Last time was about 14 Years ago that I’m aware of. Thank you for the reply we will have to check Ismael. Where did you come up with that name as a possibility? This is just such a mystery since no one in our family had ever mentioned anyone before my grandfather John Miner.